The 4iE does not require programming, it works with your smartphone to ensure your home is always at the temperature you want just as you arrive, and using more efficient temperatures when you’re away. 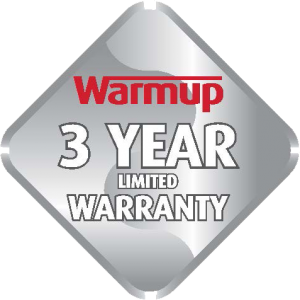 It is compatible with electric and hydronic floor heating and radiator systems. Controlled from a smartphone, tablet or computer, the 4iE Smart WiFi thermostat learns how the heating system is being used and the unique way a house performs. It automatically suggests ways to save energy, e.g. what temperature should be set for absence or occupancy periods. The smart ways the 4iE finds to heat a home more efficiently and save on the energy usage. 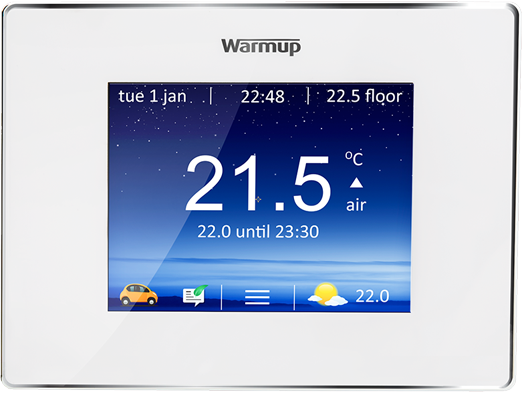 Use the dedicated MyWarmup™ account page to control the heating from a computer at home, or if on the move, from a tablet or smartphone. The 4iE gives the user more control – it allows an evaluation of the energy usage and optimize the heating by providing tips on how to save more. The 4iE can control the heating automatically and reduces the heating usage by up to 25%. It works by using the location services built into smartphones, as well as learning routines and the most efficient settings for a home. This way it can always be at the right temperature, effortlessly. A home is automatically warm when people arrive, and running efficiently when they are away. Just like magic. When there are multiple 4iE thermostats, SmartGeo™ learns when certain rooms are likely to be used, so if there is a zoned system, it won’t simply turn all the rooms up to comfort temperature just because the users are home. The 4iE is designed to look great in both modern and traditionally styled homes, with glass effect front faces and beveled chrome edges to reflect wall colors. 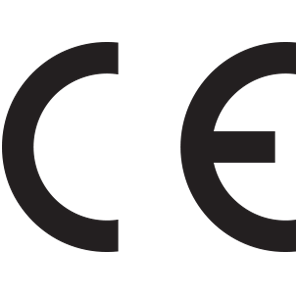 The 4iE is offered in Black, White and Porcelain White. A range of vinyl overlays are available in bold colors and textured metal and wood effects. The large color touchscreen can be customized with different themes and photo backgrounds. There’s even a 7 day local weather forecast built in. You can even use a custom photo to complement your wallpaper.